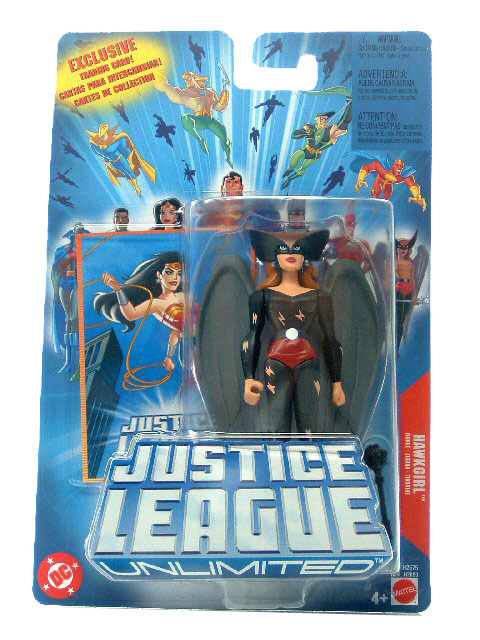 Justice League Unlimited Hawkgirl Mint on Card. Original Release. Shayera Hol, formerly known on Earth as Hawkgirl, was one of the founding members of the Justice League, and a member of the Thanagarian military. She played a key role in the Thanagarian invasion on both sides. She is also the mother of future JLU member Warhawk.